Derrick was a member of South Australian Police STAR group (Special Task and Rescue) when he was shot 14 times with a high-powered semi-automatic weapon during Adelaide’s longest running siege. In what was supposed to be a routine high-risk arrest – the offender fired 18 bullets in less than five seconds and Derrick was hit fourteen times. With broken bones, massive injuries and bleeding profusely he was lying on the ground for three hours before his mates could rescue him. Most people believed Derrick would die before rescue. During this period his blood supply got so low that he saw the ‘white light’. The first doctor to assess him believed he was already dead. However, Derrick took a small gasp of air and had a flicker of an eyelid…and the doctor went to work. This unique and inspiring story of Derrick’s survival is quite simply amazing, heart wrenching, uplifting and quite often hilarious. Derrick takes his audience on an amazing journey into the action and exhilaration, that is the high excitement STAR Group. You will hear what it feels like to be shot 14 times and then lie, fully conscious, on the ground for three hours. Audiences laugh at Derrick’s warped sense of humour as he tells them about the crazy things he thought of while getting shot, some of the get well cards he received and definitely the nicknames that followed. This is truly one of the most entertaining presentations ever, but has a very effective message about how to succeed in life and business. Derrick will also show that success doesn’t just happen. It is a process or formula that incorporates vision, planning, focus, creativity, practice and teamwork. As part of the STAR Group, Derrick specialised as a Sniper, Diver (Underwater Recovery) and Counter Terrorist Operator (trained by the SAS). He always loved to challenge himself and find out what he was truly capable of. STAR Group gave him all the challenges he could ever ask for and more. Derrick’s survival has shown that anyone can defy the odds and nothing is impossible. Derrick fought a two and a half year battle, with some huge challenges, to return to his dream job. But he believes challenges are just that – challenges. His presentation ensures audiences realise their own potential to grow, to manage adversity and the power they have within themselves to confidently deal with anything that is thrown at them. The depictions of 14 bullets, massive injuries, 3 hours on the ground and seeing the ‘white light’ are only there so people will realise that when everything looks lost…it is your attitude, right there and then, that will determine your future. With the right attitude anything is possible. 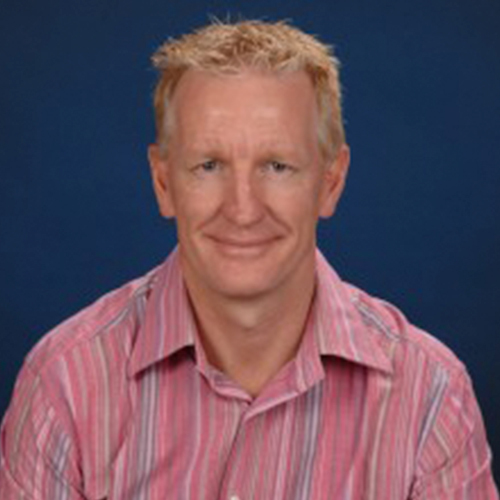 Derrick is a passionate, relaxed, down-to-earth speaker with a lively sense of humour. Audiences are genuinely uplifted just by Derrick’s belief in making everything as much fun as you can. Be inspired in your own ability to not only survive but to prosper no matter what challenges you are facing personally, professionally or corporately. or Derrick can tailor a presentation to suit your requirements. Helen Hartley, Lifeplan Funds Management. Talbot Sanderson, General Manager, Security Westfield.